Low Voltage Turbo. Overclocking, Turbo Boost, virtual cores and GeForce graphics. That doesn't fit to a runtime strong 13.3 incher? 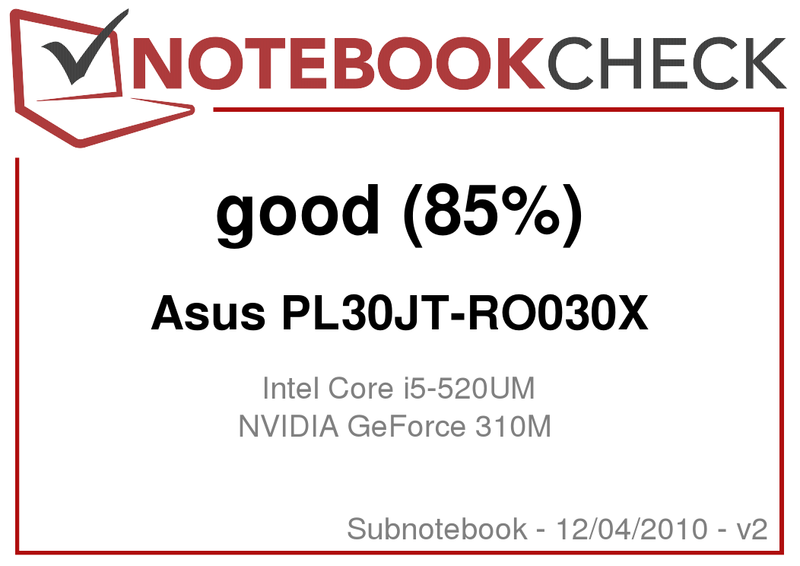 Asus proves us wrong. 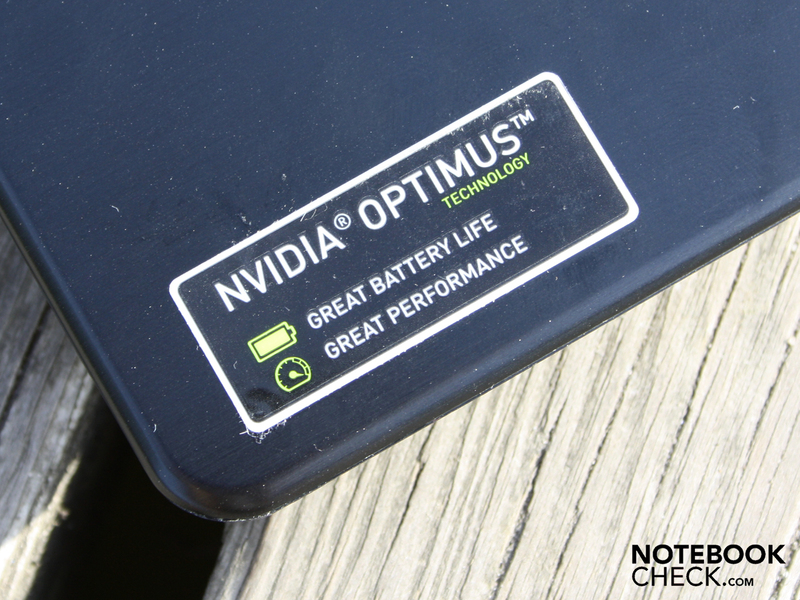 Core i5 supplies performance and Nvidia Optimus supports battery life. 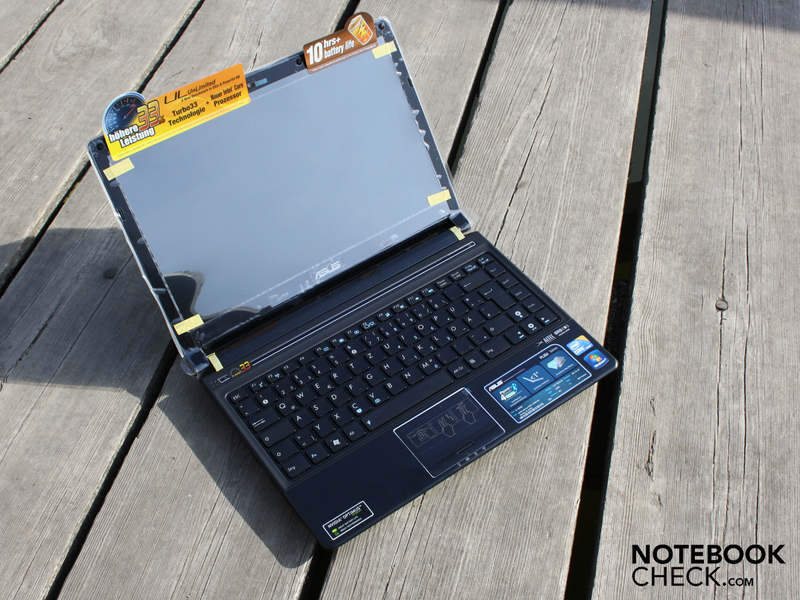 PL30JT-RO030X: A picture-perfect performance subnotebook? 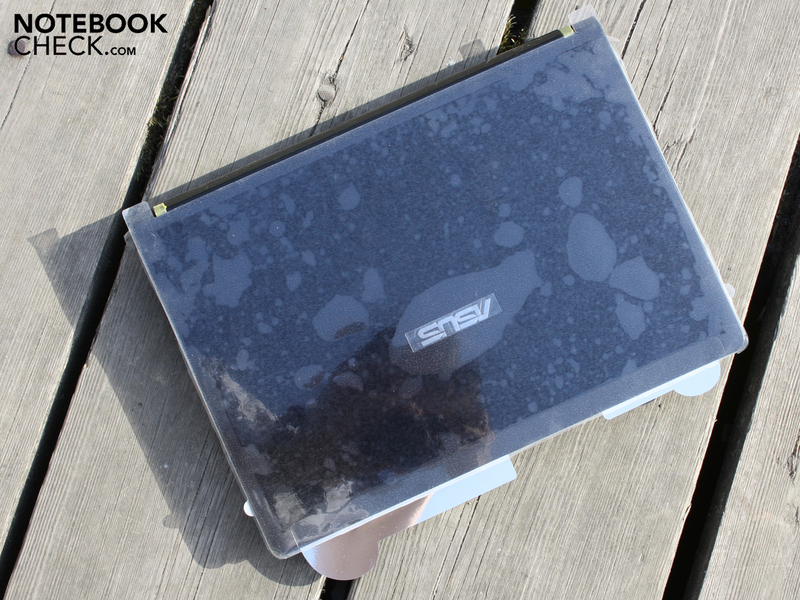 Fancy a subnotebook? No, thanks. I want performance. 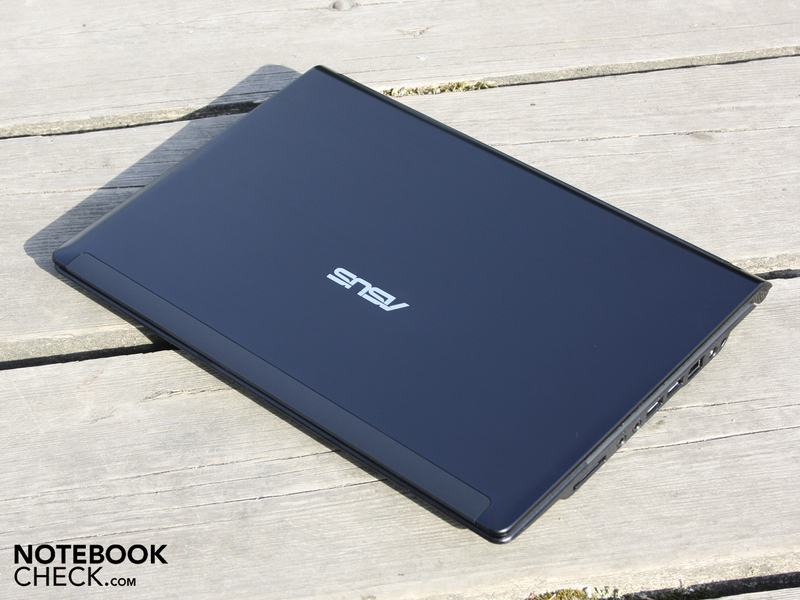 Those who think this way, but are toying with a 13.3 incher anyway, might just take a liking to the Asus PL30JT-RO030X. 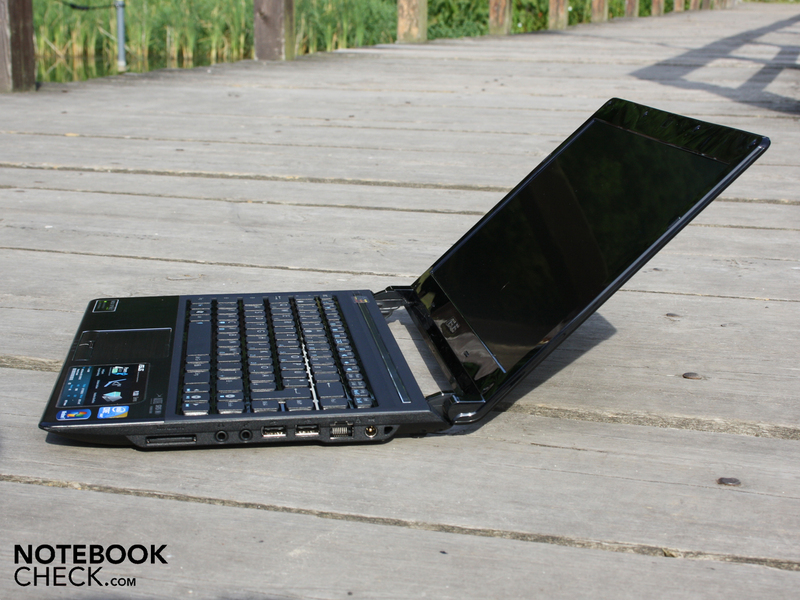 It's not unaffordable with 890 euro, but it pulls no punches for a subnotebook. Core i5-520UM (2x1.06 GHz) with Turbo Boost and hyperthreading (four threads), reads in the configuration, just as good as Nvidia's Optimus and GeForce G 310M. Asus adds its CPU overclocking, Turbo-33, known from its UL range on top. And it gets even better: Asus makes the unabashed claim that it can hold a runtime of ten hours. Are we faced with a successful mix of performance and runtime? Find out everything about the performance of the ultra low voltage Core i5-520UM. We put a focus on battery life and power consumption, just like on the limited gaming suitability. 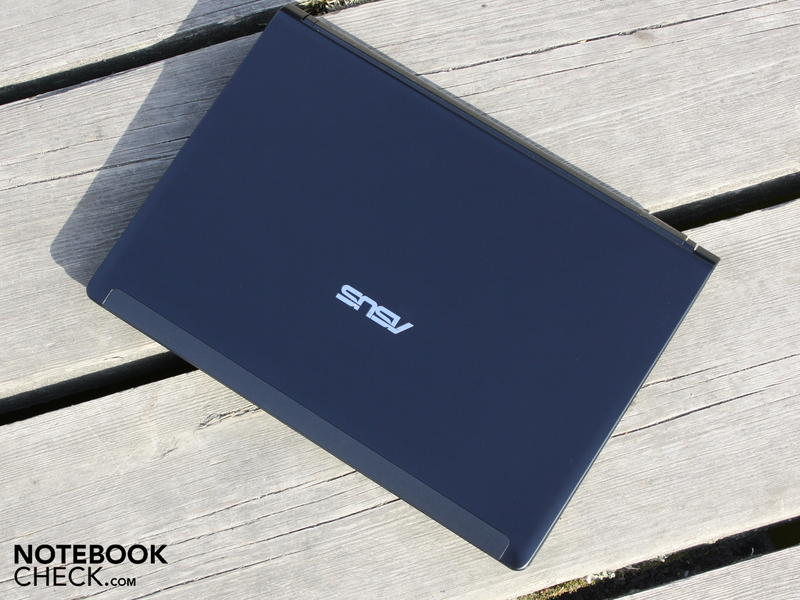 Asus has sent a 1.82 kilogram light and slim 13.3 incher to our editorial office. The case has an adequate torsional stiffness despite its slimness. The battery moves slightly in its compartment in our twisting test. 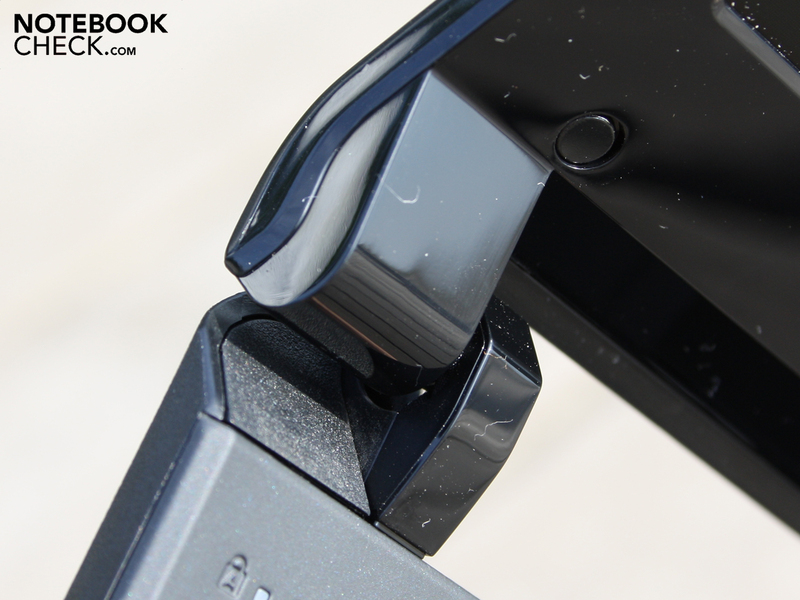 The wrist-rest convinces with a high firmness and the base unit's rear part can't be dent anywhere, either. The large, inserted battery, which was still a weakness in construction of the quasi-predecessor, UL30A, now fits tight. The wrist-rest's aluminum surface and the plastic base plate fit tight and don't yield anywhere, not even under high pressure. In our opinion, the lid is adequately stiff in view of its slim design. We can only twist the lid by a few degrees when it is picked up at the corners. Slight pressure on the aluminum surface doesn't immediately provoke pressure points on the screen due to its high stiffness. 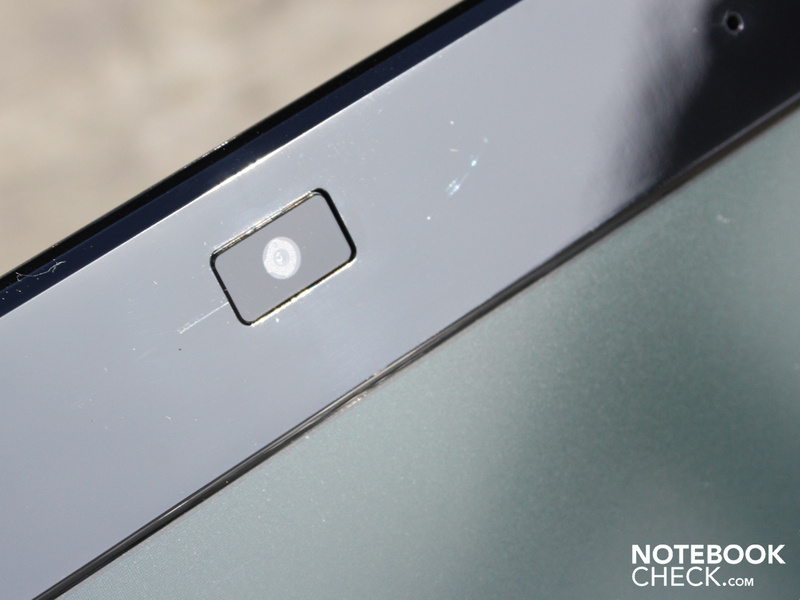 Both hinges, on which the display is mounted, are a bit spongy. Nevertheless, the display stays firmly in place in every position. Jolts, like they sometimes turn up during train or car rides, allow the lid to only teeter marginally. The manufacturer has done a good job with the surfaces and material combination. The lid and wrist-rest surface, made of brushed aluminum, have a pleasant, high-end feel. 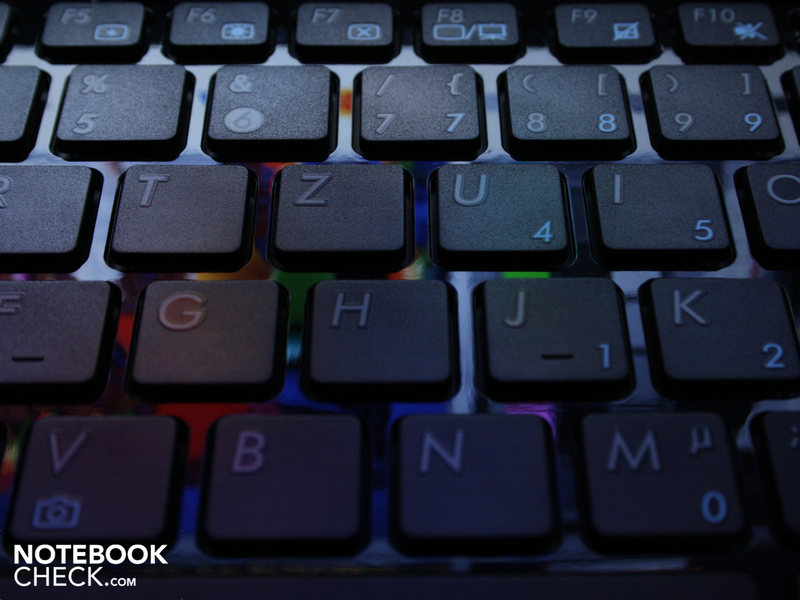 The keyboard is fringed with a rubber coating that prevents slipping, as well as smeary surfaces. Piano lacquer is only found on the display bezel, in the key gaps and between the hinges. The manufacturer could have been a bit more austere here for office friends. Oily finger are kept within limits though, making this little flaw tolerable. 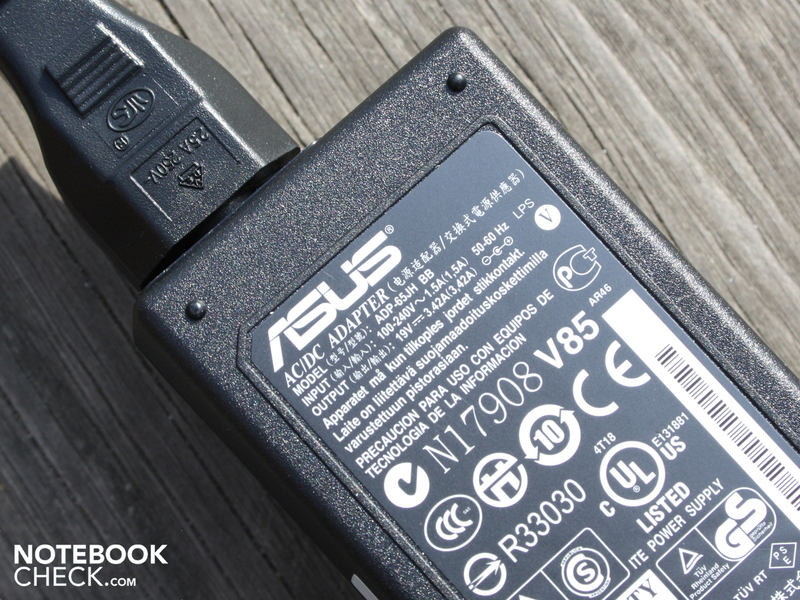 Asus uses the whole available width for connections. Nevertheless, it's not enough for an abundance of interfaces, despite the lack of an optical drive. The manufacturer doesn't equip the front with any ports, switches or cardreaders. We find all connections on the right or left side. The rear is reserved for the battery unit. 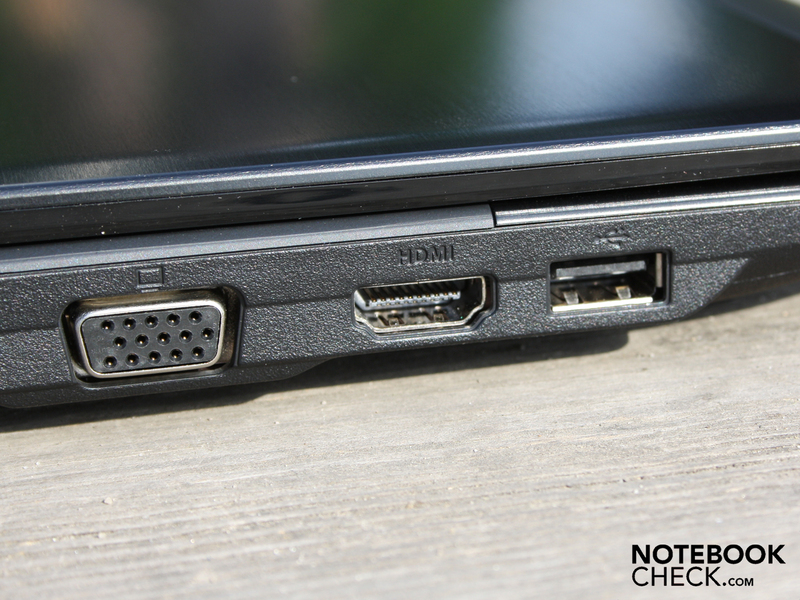 The port distribution is unfavorable for the utilization of external monitors: VGA is directly beside HDMI in the front left area. Thick VGA/HDMI cables could obstruct lefties when a mouse is used. Righties have a slight advantage, as at most two USB cables could thwart mouse usage here. 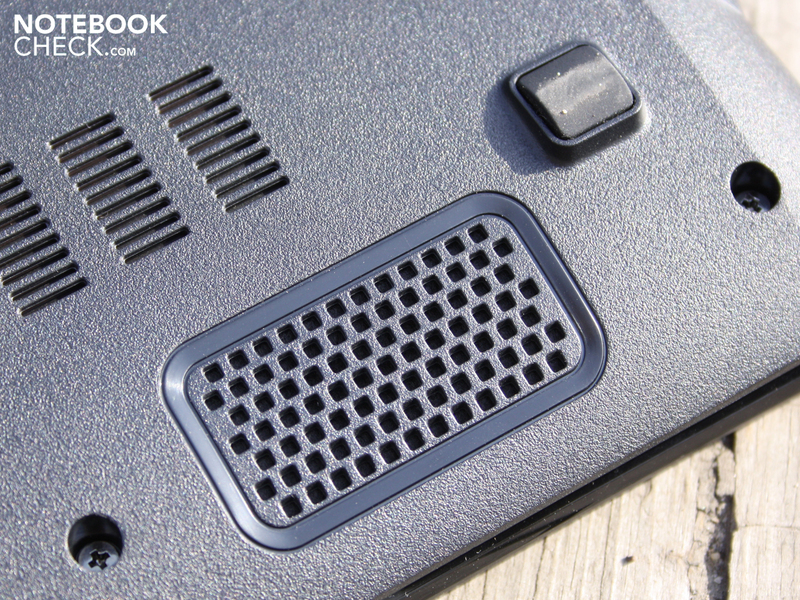 Cardreader and audio ports are found in the front right area. Connections on the rear would have of course been perfect for the use on the desk at home. However, it wouldn't have been possible to build in a big, removable battery this way. Express Gate allows surfing, chats or listening to music without the Windows operating system. 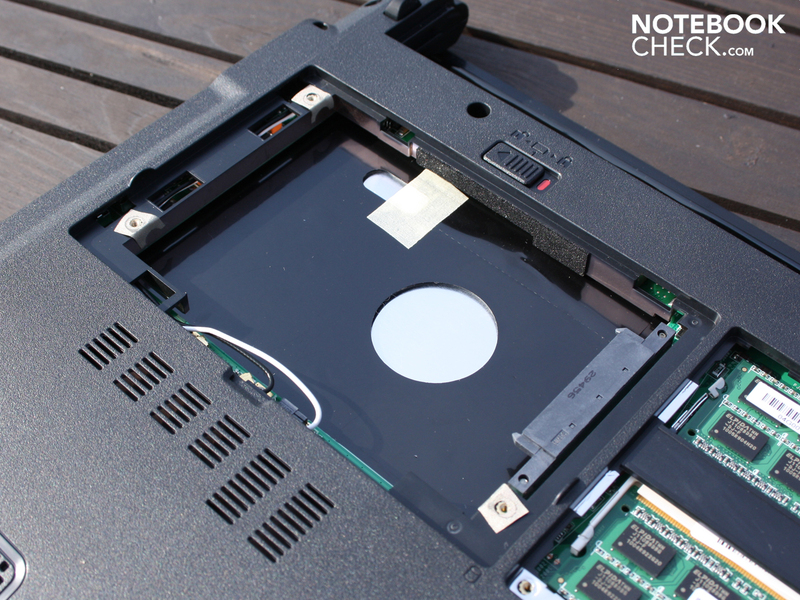 The Turbo-33 button opens the Express Gate Flash OS (Splashtop) when the notebook is turned off. This slim and energy saving Unix OS has a web browser, an image view, a Skype client and a music player. If you want to show your pictures on the fly (hard disk access) or look up the train schedule, you could very well take a liking to the mini OS. The same key enables Turbo-33 (CPU overclocking) under Windows. The keyboard is acceptable for frequent typists. The key bed only yield under stronger pressure (center). The detached keys have sufficiently sized gaps even for larger hands, which increases accuracy. The pressure point could be a bit more distinct, but the stroke is sufficiently firm. The well-made layout with the big keys (see arrow keys) and the clear lettering is a big advantage of the keyboard. 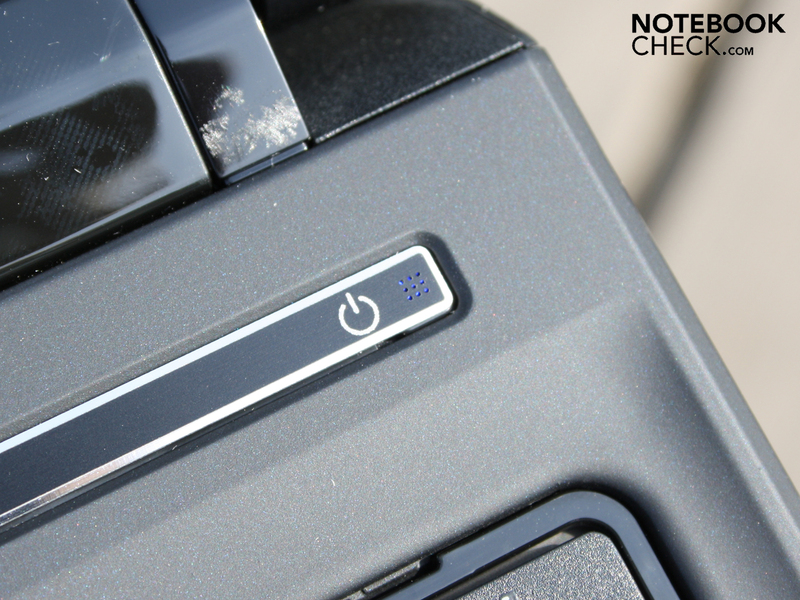 The blue function keys for addressing special functions, like display brightness, volume, mute, touchpad and WLAN off and standby, are clearly marked. 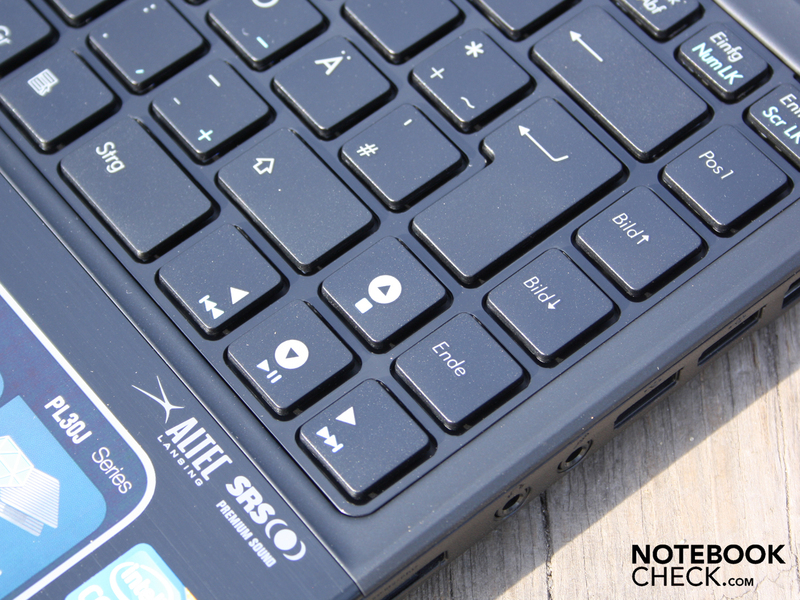 A number pad is also available via the FN keys (FN assignment). The touchpad is delimited from the rest of the wrist rest both optically and haptically by a silver edge. The plastic surface in aluminum-look unfortunately makes sweaty fingers glide a bit unsmooth (blunt). 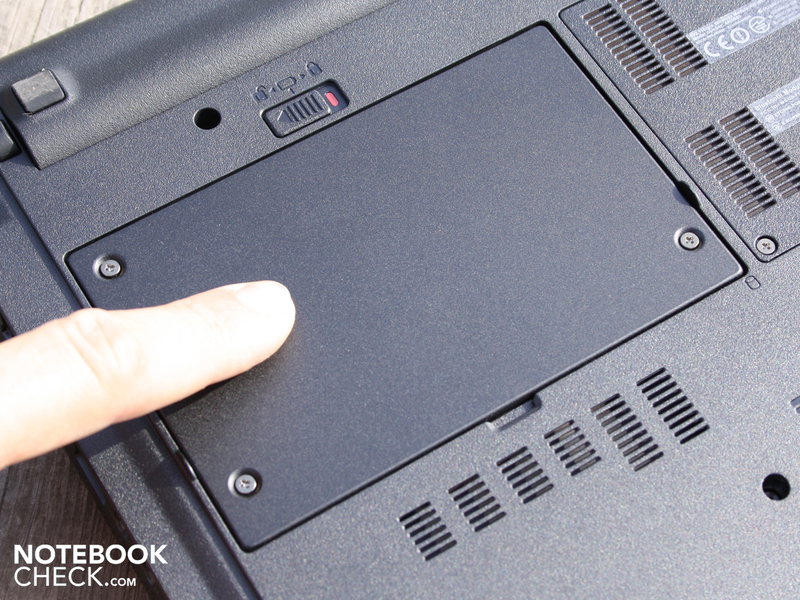 It's a multi-touchpad (Elan Smart-Pad V2.2). It recognizes the use of two fingers (two finger gestures: e.g. zooming with two fingers). A vertical/horizontal scroll bar (single finger control) is not available. We have to inevitably apply two fingers. The AR coated AUO display (type B133XW01 V1) can't impress the testers in any way. 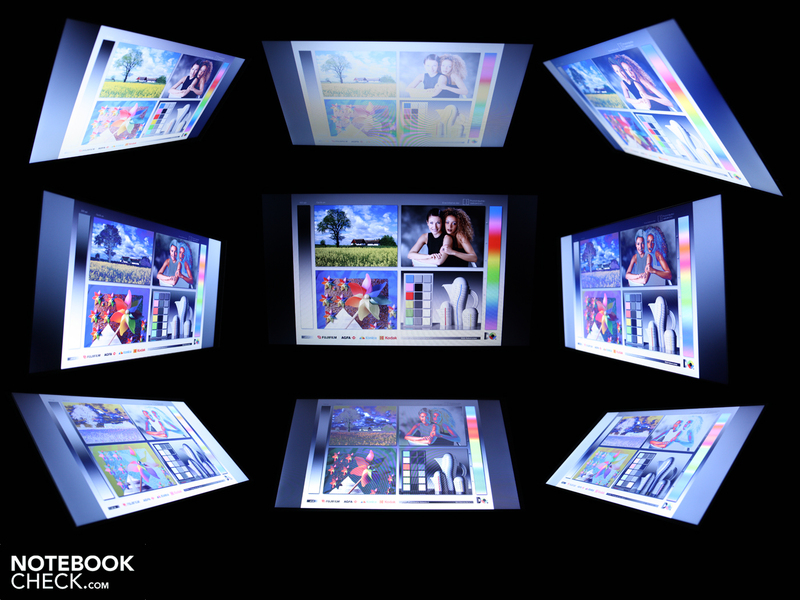 The 16:9 screen's resolution of 1366x768 pixels is standard for the size. Just like the low contrast of 165:1, unfortunately. Colors don't gleam intensely; black has a light gray touch. The AR coat isn't the reason for the low contrast, though. A glare type would optically give the colors a certain brilliance, just like the black value. The matt AUO screen doesn't have a good brightness. We measured an average of 179 cd/m2. Our meter records a maximum luminance of 196 cd/m2 in the upper left corner. Just in view of a subnotebook outdoor scenario, a luminance beyond 230 cd/m2 would have been desirable. 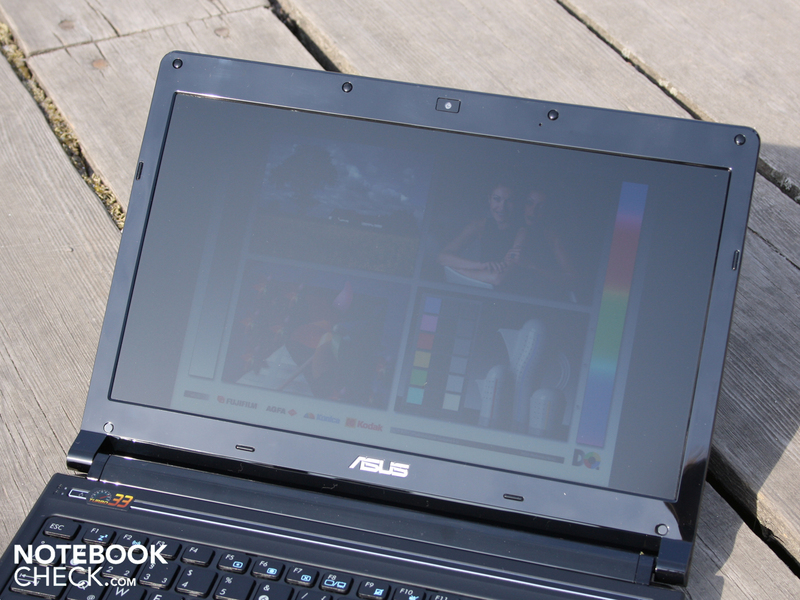 Is a stress-free use in sunlight possible with this brightness? Yes, but we can't really enjoy it. The matt display prevents reflections significantly, but the display simply remains to be too dark. The notebook doesn't reduce the brightness in battery mode. 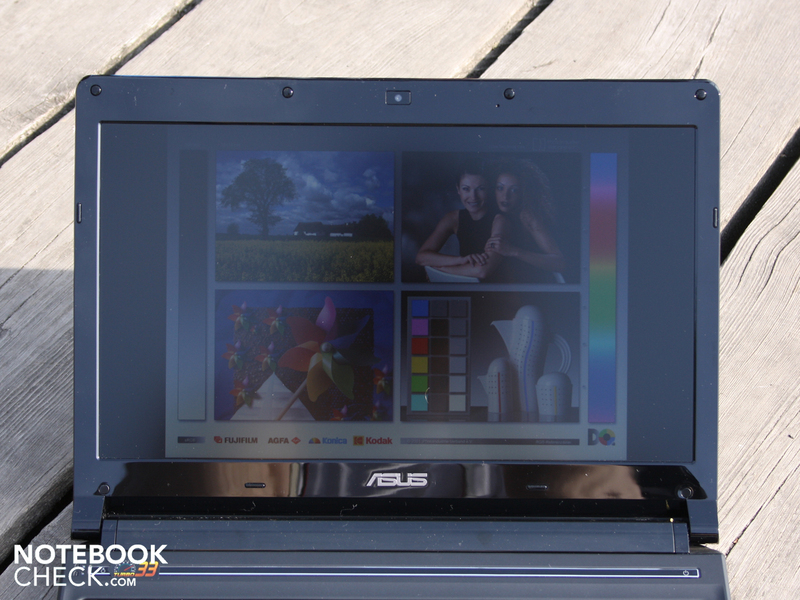 Outdoor users will have to look for an especially shady place to have a nice view on the 13.3 inch display. The horizontal viewing angles are fairly good. We can see writing up to about a 50 degree deviation from the optimal position. However, colors already invert at about 40 degrees. The displayed writing stays readable up to about 30 degrees when our view strays downward. The brightness, however, already dims clearly as of 10 degrees (colors falsify intensely). If several people gather around the Asus PL30JT, the viewers from the upper positions will hardly see anything of the movie. The colors are already inverted massively at a 25 degree vertical deviation. Writing can't be recognized or read any longer and colors are extremely falsified. As all i5 CPUs, the Core i5-520UM is a dual core with Turbo Boost, hyperthreading and integrated GMA HD. 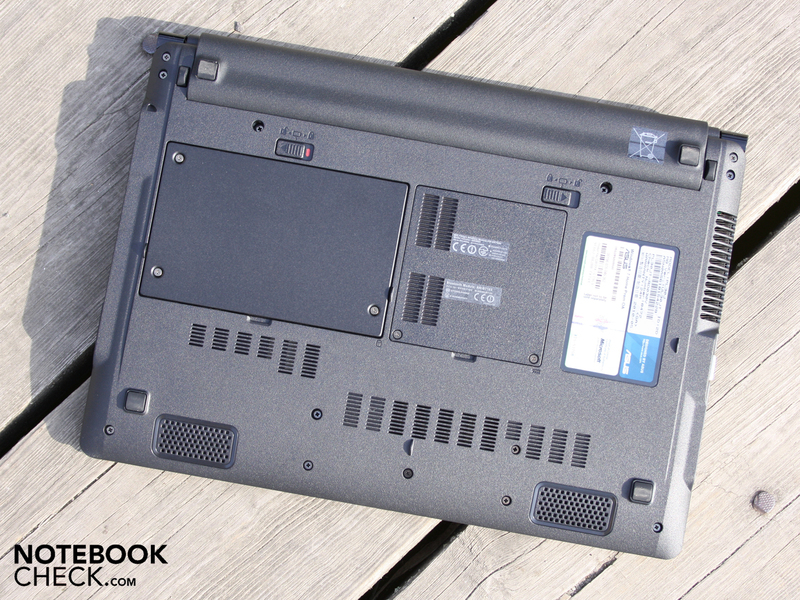 The big difference to i5 CPUs in larger notebooks is the operating with a low voltage (Core voltage). The clock rate of 1.06 GHz is also significantly lower. It can be increased up to 1.86 GHz with Turbo Boost when required. In comparison: A Core i5-430M clocks between 2.26 and 2.533 GHz. Interesting for users: The dual corer also has the hyperthreading feature that accelerates multi core applications. Every physical core is supported by a virtual core. Core 2 Duo generation CULV/ULV processors (e.g. SU9400, SU7300) aren't capable of this feature. The integration of the memory controller and the IGP graphic card (GMA HD) in the processor bundle are standard for Core i5 CPUs. This allows a combination with a dedicated Nvidia 310M graphics. The Nvidia Optimus Technology allows an automatic switching between the Intel HD and the dedicated 310M, depending on every power requirement. Contrarily to previous hybrid GPU solutions, the Intel HD is always enabled because its frame buffer is used for the video output. 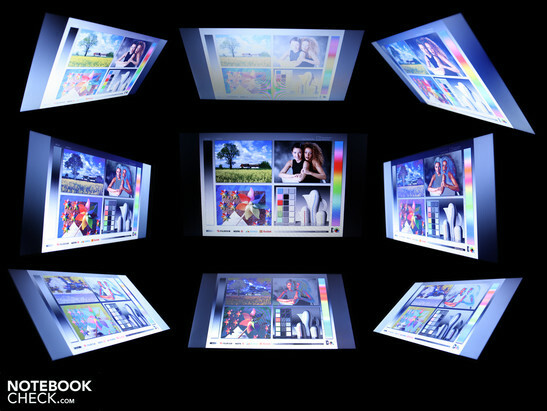 A dedicated GPU practically writes in the Intel HD's video memory and allows the Nvidia image to be displayed. For this reason, there aren't any latencies or black, flickering screens during switching. Thus, the hardware button for hybrid graphics can be omitted. The benefit of Optimus is supposed to be an improved battery life, because the dedicated G 310M can be completely disabled. Our synthetic processor benchmarks certify the Core i5-520UM (2x1.06 GHz) a performance above the i3-330M (2x2.13 GHz) but below the i5-430M (2x2.26 GHz). The test system reaches 3083 points at computing with one core (Cinebench R10 Single 64 bit). Core i3-330M achieves around 2900 points, i5-430M scores an average of 3400 points. 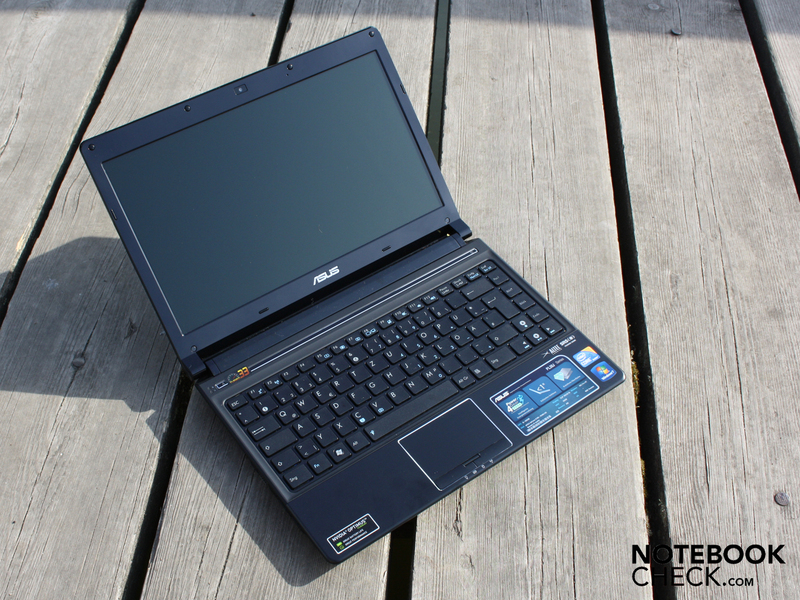 The Intel Core 2 Duo SU7300 (typical CULV subnotebook processor) is considerably weaker despite overclocking with 2100 points (Asus UL50VF, Asus UL80VS). Even an SL9600 (ULV, 6MB cache, 2.13 GHz), used in high-end subnotebooks, only reaches 2726 points in Cinebench R10 Single). The i5-520UM can't replicate the proud single core result while computing with all available threads (hyperthreading: 2 cores + 2 virtual cores). Cinebench R10 Multi (64 bit) finishes with 6107 points. (i3-330M = 6600; i5-430M = 7800). But once again it is proved: The ULV sister processor, SL9600, is clearly defeated with 4815 points. The alias for CPU overclocking is enabled by pressing the turbo button (upper left keyboard). The notebook starts up immediately again. The ULV processor now runs with a maximum of 2.12 GHz (normal max. 1.86 GHz with Intel's Turbo Boost). The multiplicator is set to 12 for this. Every core's clock rate can reach a maximum of 1.94 GHz in multi-core computing (about 1.46 GHz without Turbo-33). We've compared the Cinebench rates with and without Turbo-33. Cinebench R10 Single: 3083 versus 2377 (with/without: 23% increase) Cinebench R10 Multi: 6107 versus 5051 (with/without: 18% increase). We've summarized the various operating states in the following screens. We experience the overall system performance as smooth. Multiple, simultaneously running programs don't stress the PL30Jt and even processor-biased games, like Sims 3, cooperate. The 4 GB DDR3 RAM is likely only an insignificant reason. Due to the 64Bit Windows 7, the entire 4096 MB RAM can be used. PCMark Vantage checks the interaction of CPU, graphics, RAM and hard disk. We've disabled Nvidia's presetting "preferred GPU Intel HD" and set to "preferred GPU Nvidia". Turbo-33 was enabled for the system test. Performance insatiable customers can look forward to this. PCMark Vantage determines 4536 points. 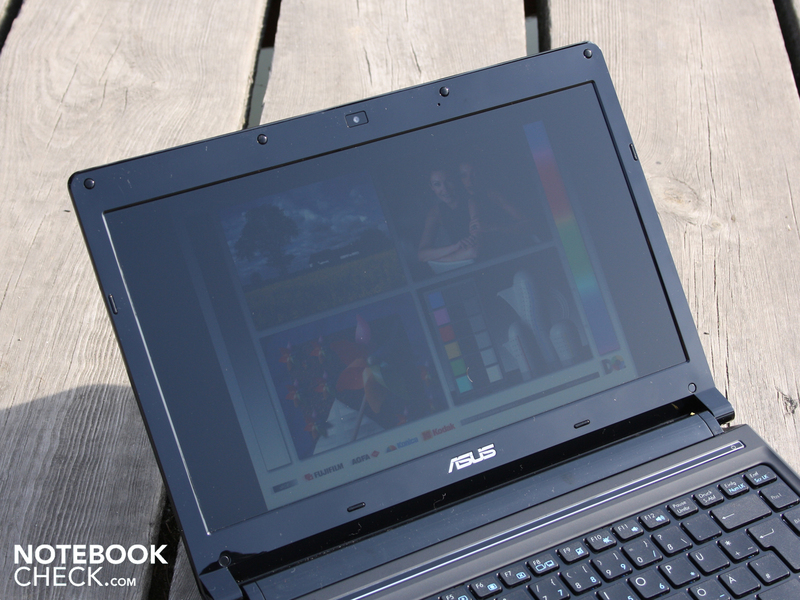 Thus, the subnotebook, PL30JT, is on par with Core i3-330M laptops (e.g. Toshiba Qosmio F60, GT 330M) with dedicated GPUs. 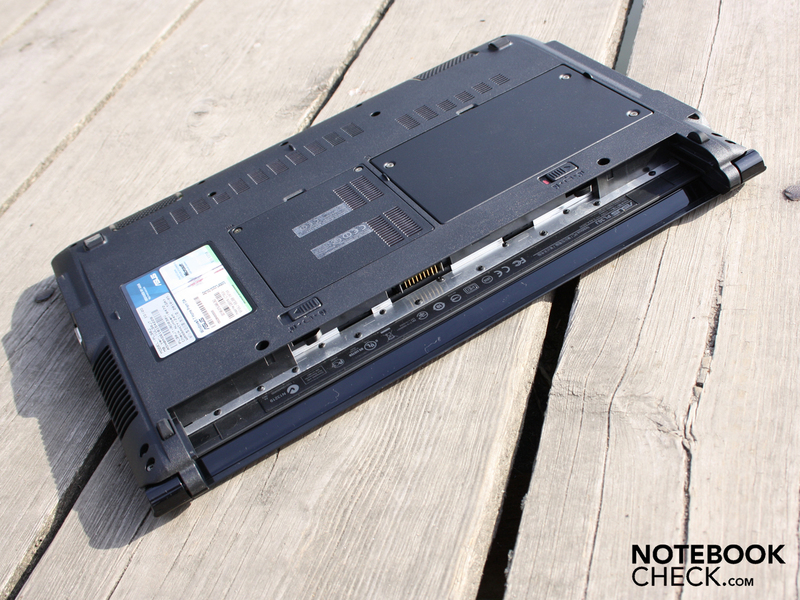 A Core 2 Duo SL9600 system (Lenovo ThinkPad X200t) is clearly defeated with 3095 points. The Seagate Momentus hard disk (type ST9500325AS) with a gross capacity of 500 GB works with the usual 5400 rpm. HDTune establishes an average rate of 58.4 megabyte per second in sequential read. This data throughput is slightly under par of comparable 2.5 inch hard disks. The HDD is slowed down by the low burst rate of 71.1 MB/s. A high burst rate is, for example, 117 MB/s (e.g. 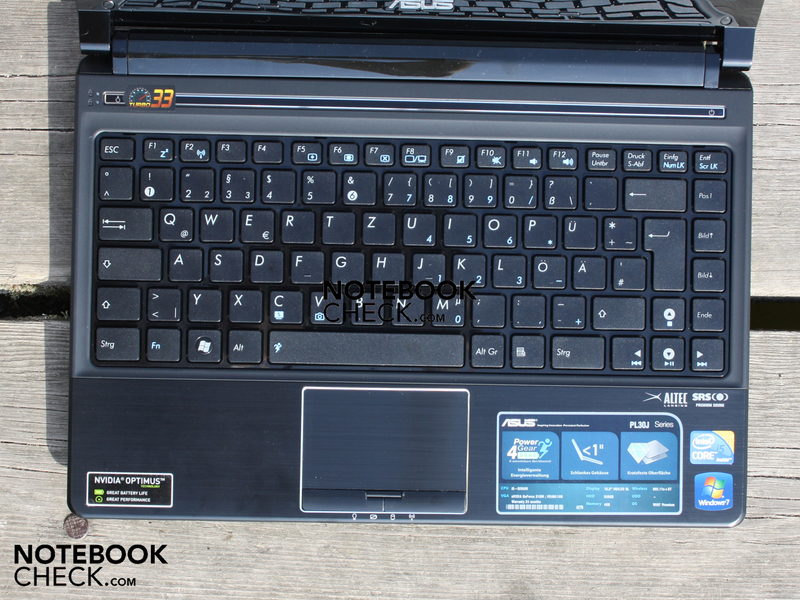 Acer Aspire 5740G-434G50MN). The burst rate describes the transfer rate that can be reached by the HDD cache. Buyers can detect the maximum transfer rates that the hard disk can reach with it. 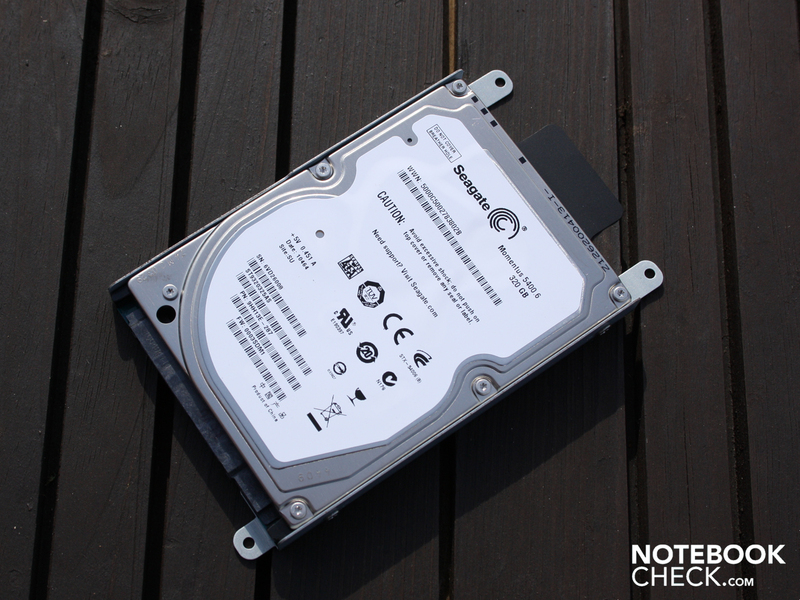 The SATA II hard disk doesn't show irregularities during operation and stays almost silent. The Nvidia GeForce 310M can access 1024 MB DDR3 video memory. It's a starter GPU that is capable of DirectX 10.1 effects, but not PhysX. 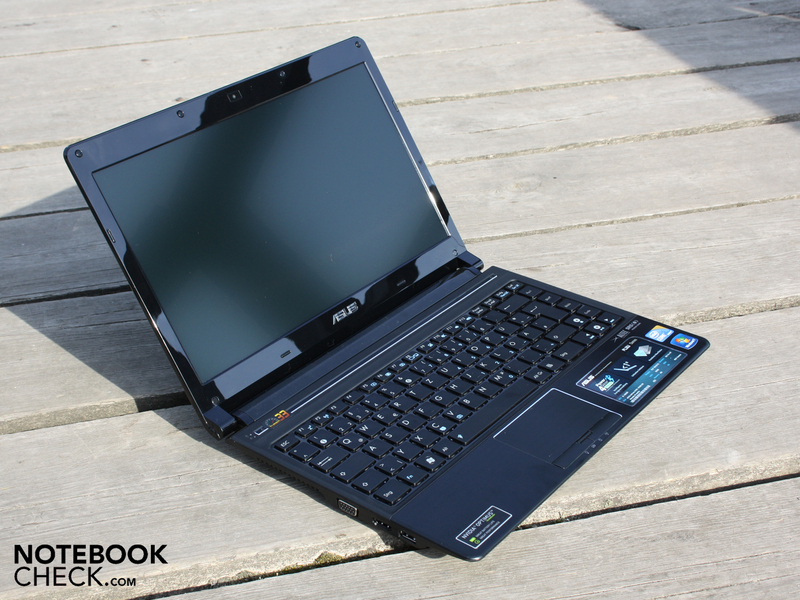 The performance complies with the GeForce G 210M (identical core rate of 625 MHz). Asus has downclocked the memory rate to 667 MHz (common: 800 MHz). The GPU is only suitable for gaming to an extent. It's rather more for supporting the processor on the mainboard. HD decoding (H.264, MPEG-2, MPEG-4. etc.) can just as well be managed by the 310M (PureVideo HD) as video coding (CUDA, DirectX Compute and OpenCL). We determined a poor 2963 points in 3DMark06. A negative verdict for game play is obvious. Nevertheless, we didn't refrain from trying two more or less demanding games. The gaming test of Modern Warfare 2 and Sims 3 is clear. These fairly new games only run smoothly in low resolutions (800x600 here) and lowest details (low, 0xAA here). And then at least without stutters with 48, respectively 78 fps. Gaming souls should better look around for an ATI HD5650 or Nvidia GT 330M. 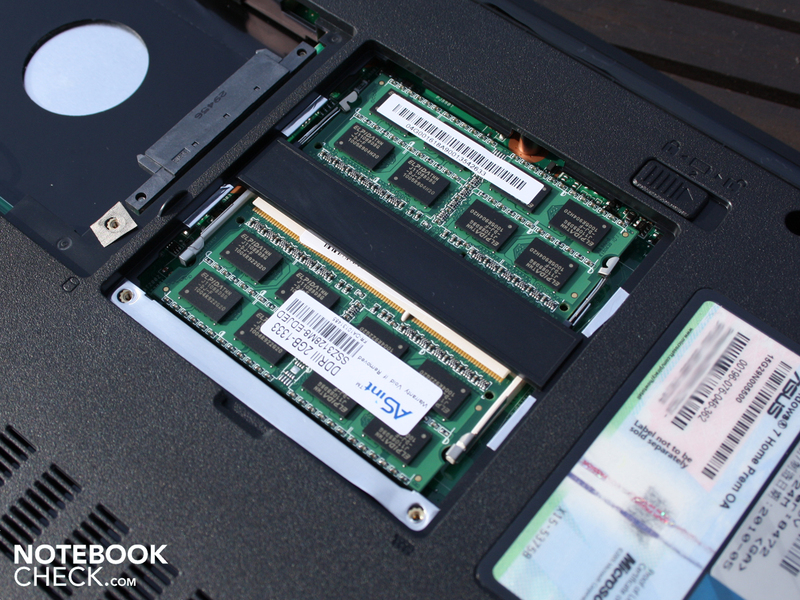 These GPUs are also built into small, light notebooks (starting at 14 inch). 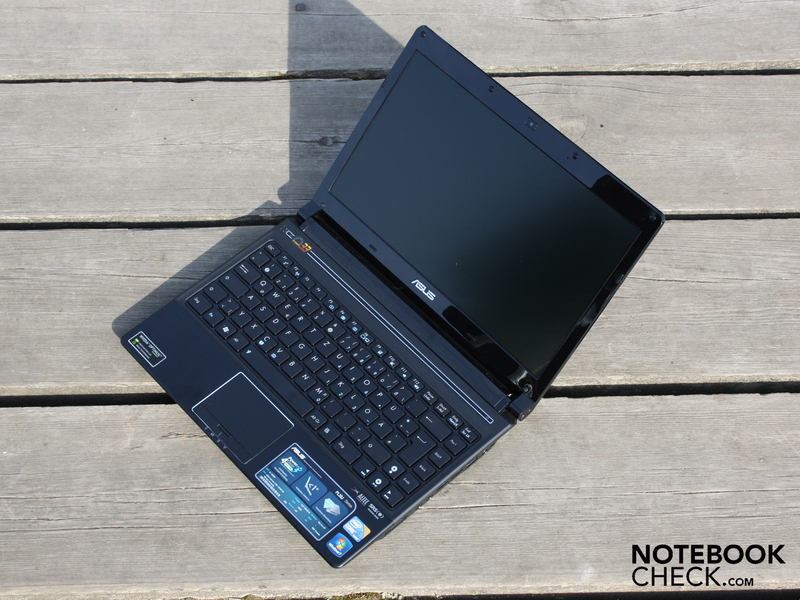 See Acer's Aspire 4820TG. The 13.3 incher always remains quiet in undemanding office mode (without Turbo-33, only Intel HD GPU) at a constant 31.6 dB(A). If you surf a bit and occasionally read out pictures from a memory card, you won't even notice the fan. The little fan can attract attention when performance is demanded (Turbo-33 enabled) with up to a very audible 39.1 dB(A). This was, for example, the case in the computer gaming tests. However, the fan really turns up in the stress test of CPU and GPU (Prime95 & Furmark). Now we measure 42.6 dB(A). CPU stress test: 90 degrees max. 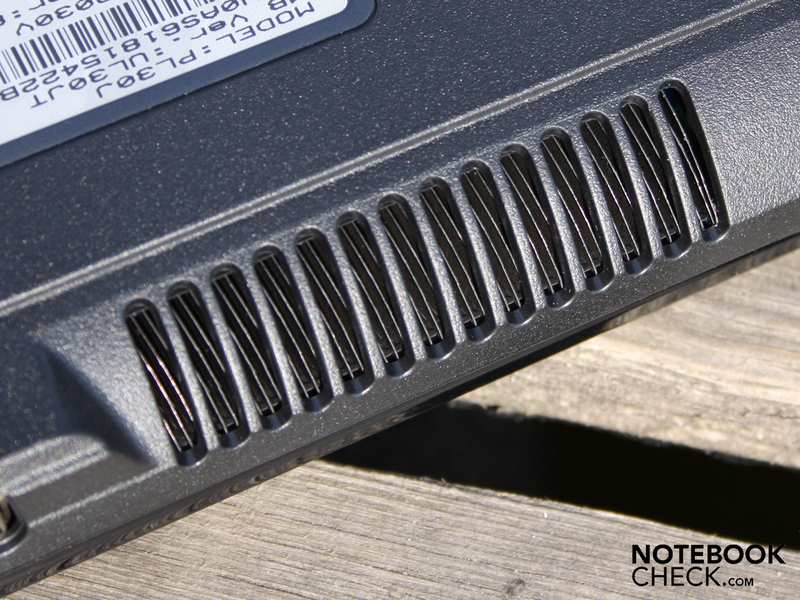 The fan dissipates warm to hot waste air over a vent on the case's left side, depending on the activity. It's enough for acceptable lukewarm surface temperatures in idle, when the fan runs the calmest. You can't call the 13.3 incher cool, though (average of 34 degrees Celsius at a high room temperature). 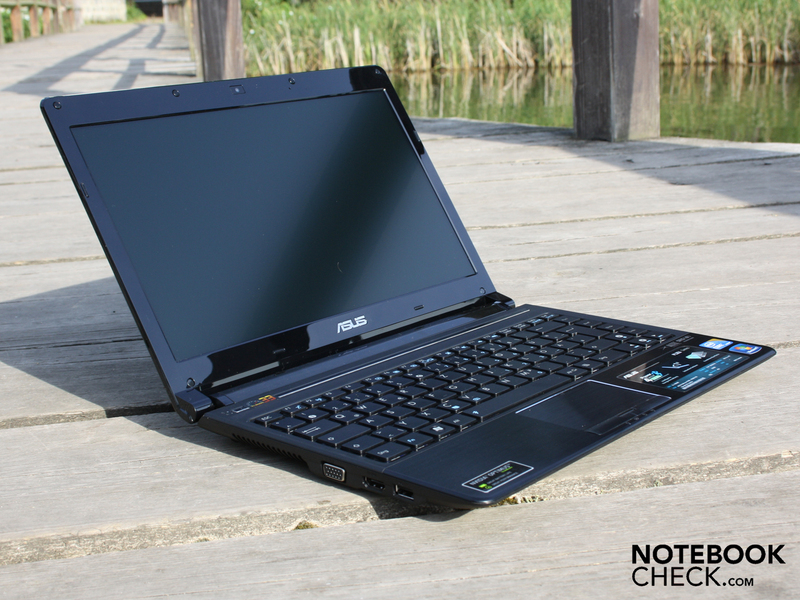 During our processor and graphic benchmarks, the Asus PL30JT got considerably warmer. We measured a maximum of 44.6 degrees Celsius on the work surface after a two hour stress test with CPU and GPU load. The testers could hardly even touch the base plate in stress conditions. Our thermometer indicated 51.8 degrees selectively. The average was close to 39.6 degrees. The Core i5-520UM heated up to a maximum of 90 degrees. The waste heat looks hazardous at first sight, but we'd like to point out two things: Due to the warm summer, the room temperature was about 5 degrees higher than usual. And the stress test is also an unrealistic maximum load. (-) The average temperature for the upper side under maximal load is 40.1 °C / 104 F, compared to the average of 30.7 °C / 87 F for the devices in the class Subnotebook. (±) In idle usage, the average temperature for the upper side is 33.8 °C / 93 F, compared to the device average of 30.7 °C / 87 F.
(-) The average temperature of the palmrest area of similar devices was 28.6 °C / 83.5 F (-10.9 °C / -19.6 F). The stereo loudspeakers placed on the front (bottom) deliver a better sound than we are used to from 13 inchers. The loudspeakers from Altec Lansing can't create any deep basses, but a balanced, even if midrange-prone, sound. The relatively high volume is even enough to let the wrist-rest vibrate a bit. Connecting external loudspeakers over a 3.5 millimeter jack is an option of choice for hi-fi fans. We tested with two active Yamaha speakers (YST-M20SDP). 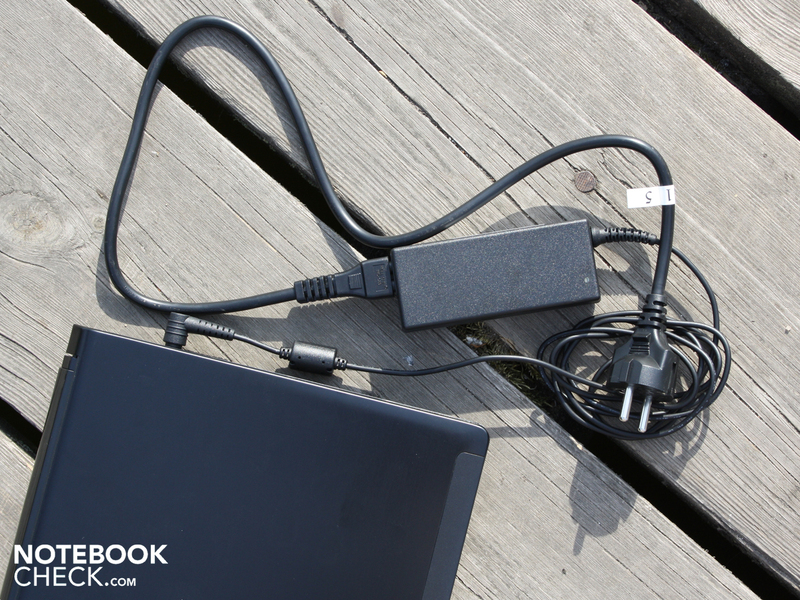 The volume tethered to the notebook can be adjusted freely. Static doesn't turn up with the onboard sound card even at very low input levels (audio test only). The battery life easily surpasses normal Intel Core i3/i5 configurations. 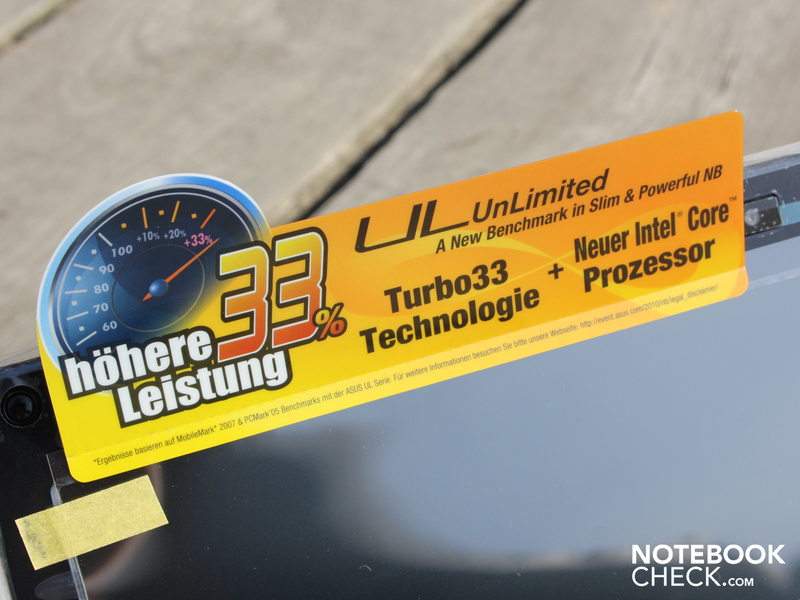 We tested it without Turbo-33. 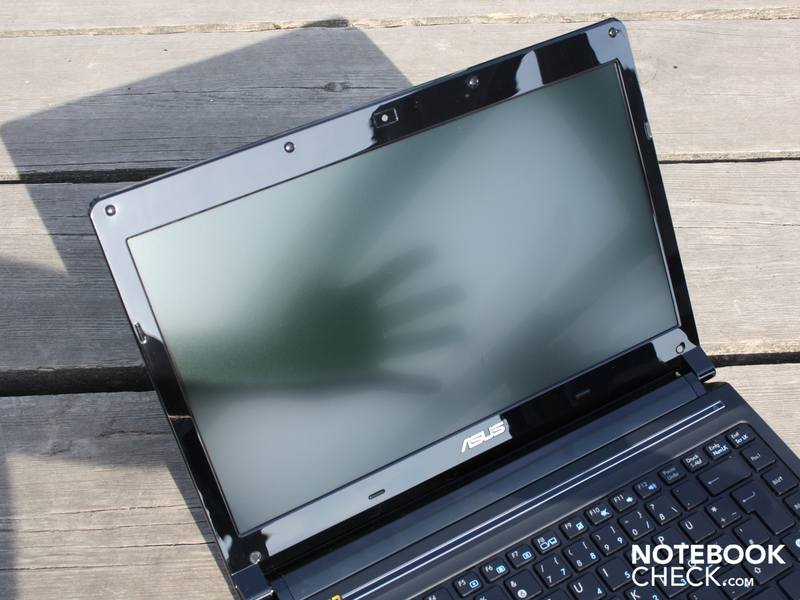 The comparison, however, is affected by the fact that 430M and 520M CPUs are usually built into 15.6 or 17 inchers. 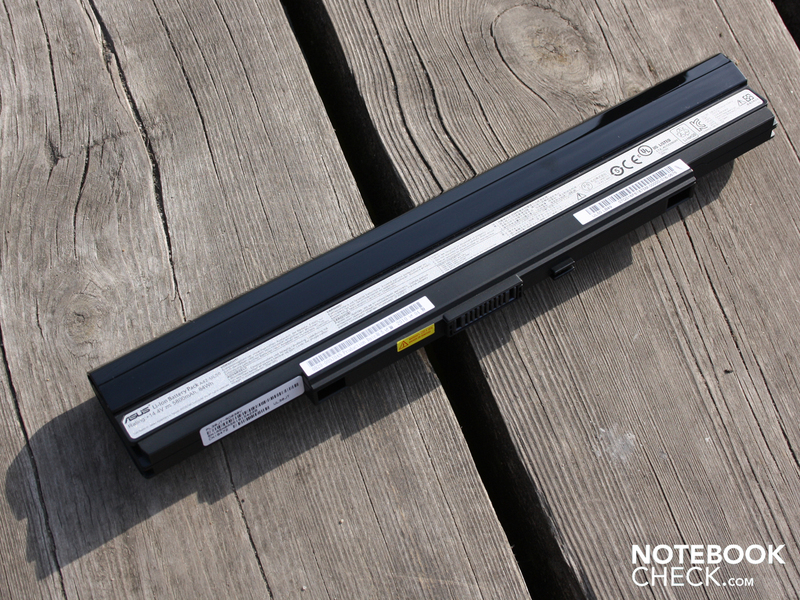 The Dell Latitude E6510 (15.6 inch) has a Core i5-520M and a similarly strong battery (90 Wh). It lasted for 219/427 minutes (WLAN/idle) in the test. Our PL30Jt reached almost twice the time in the WLAN test. 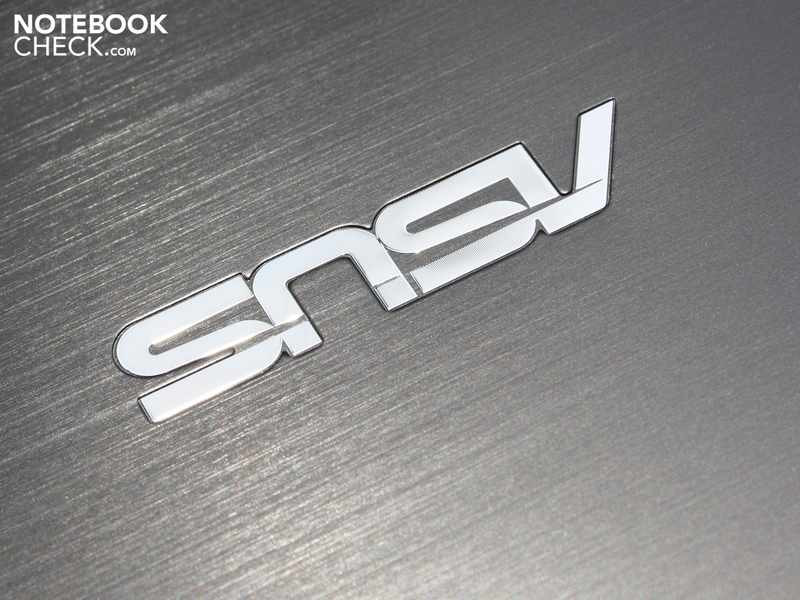 The subnotebook also comes close to its runtime strongest Core i5 13.3 colleagues. An Asus U30JC (84Wh, 520M, 310M, Optimus) reaches 331/516 minutes (WLAN/idle) in the WLAN test. Our test system achieves 378/509 minutes with the same battery capacity. That is still 50 minutes more in WLAN than the all-day runner, Asus U30JC, with a non-ULV configuration. The maximum runtime with BatteryEater in Reader's mode is an assessed 509 minutes (8:29 hours). That's unrealistic though, because WLAN was disabled and the processor fell asleep because it was bored (idle). 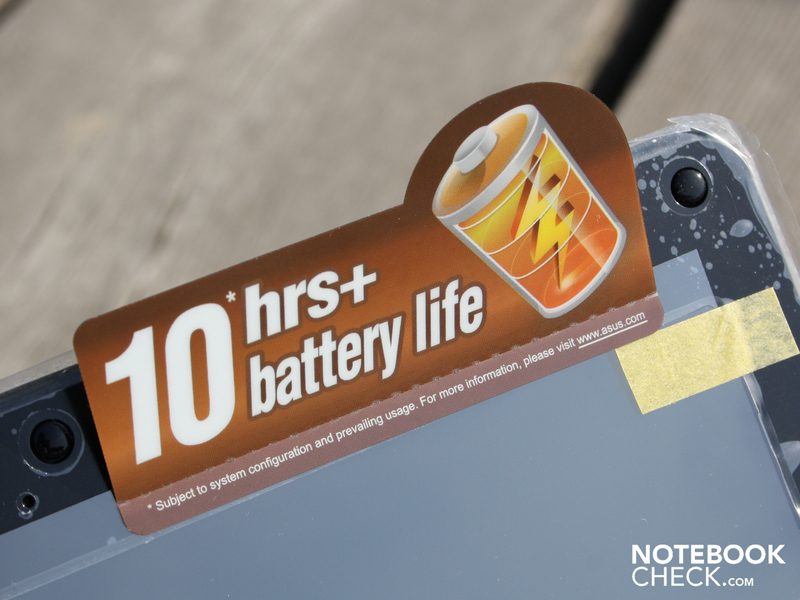 Users with tendency toward mobility can reckon with a real battery life between six and seven hours. If you're constantly playing with the Asus PL30JT and always leave Turbo-33 on, you'll push the runtime down to 2:11 hours (131 minutes). It's 3:18 without turbo (198 minutes). Watching movies is (almost) endlessly possible. Our DVD loop first stopped after 6:16 hours (375 minutes). 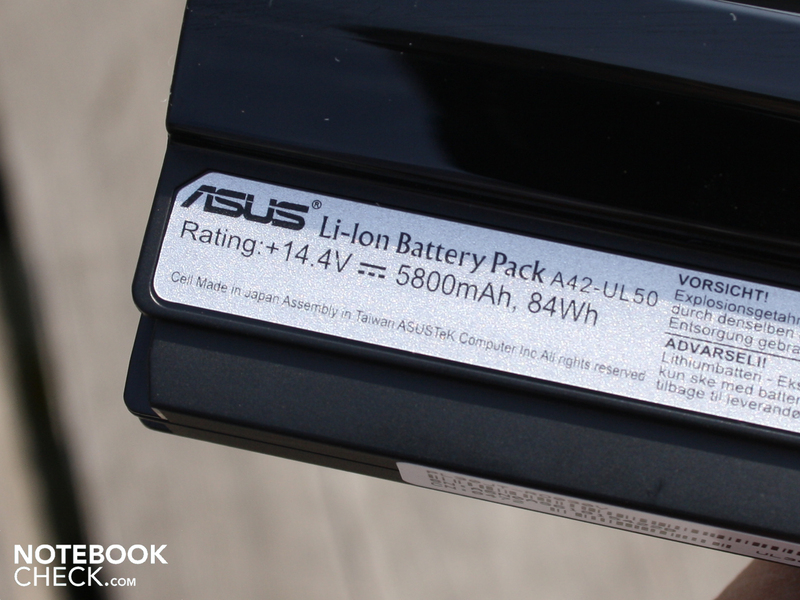 Especially the strong 84 watt hour battery prompts the Asus PL30JT this way. The ULV processor, with a 18 watt TDP, doesn't look very economical at first glance. But the graphic card and memory controller are included in it (previously in the chipset). A CULV Core 2 Duo SU7300 has a TDP of merely 10 watts. The power consumption assessment at the mains (without battery charging) shows a very modest subnotebook. We measured 9.5 watts in idle (Turbo-33: 9.8 watts). This confirms the economical components of the chipset, LED screen and memory. Turbo-33 is hardly noticed in idle with a difference of merely one watt. This changes obviously under load. 3DMark06: 50.2/40.4W (with/without Turbo-33); Furmark+Prime95: 55.8/48.0W (with/without Turbo-33). 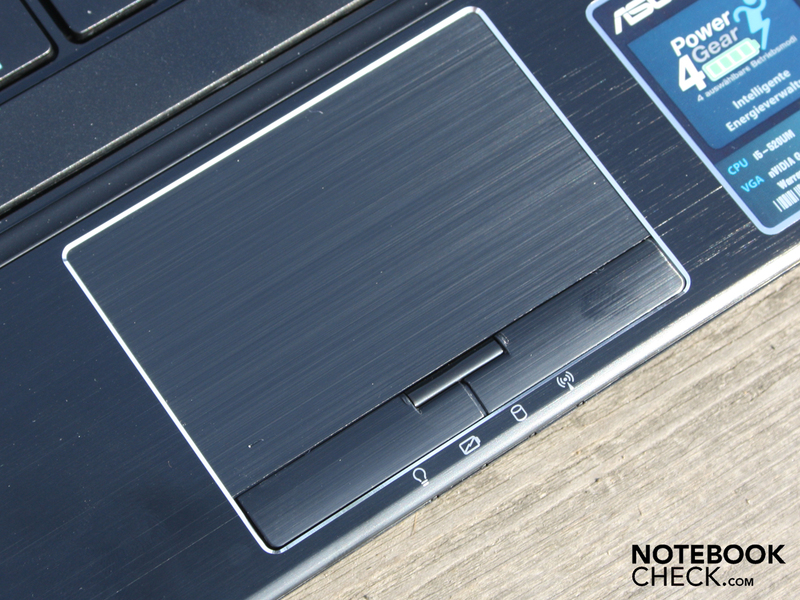 Our meter shows an average effective power of only 29.3 watt with maximum brightness and enabled Asus screen saver. The screen saver doubled the power consumption and should thus better be disabled. 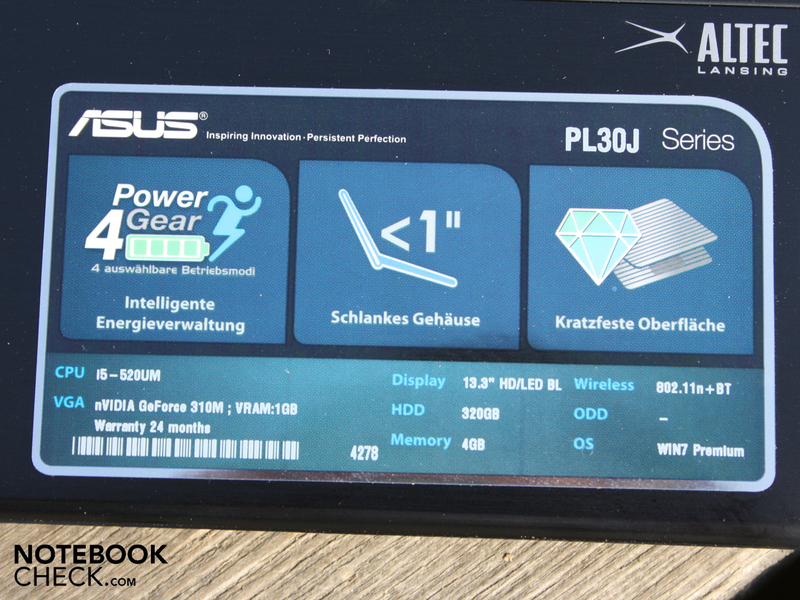 If you want a long battery life without having to do without performance, you should take a closer look at the Asus PL30JT-RO030X for currently 890 euro. With its Intel Intel Core i5-520UM ultra low voltage processor, all positive features of the new Core i5 generation are at hand (Intel HD integrated, Turbo Boost, hyperthreading). The standard clock rate of 1.06 GHz sounds low. 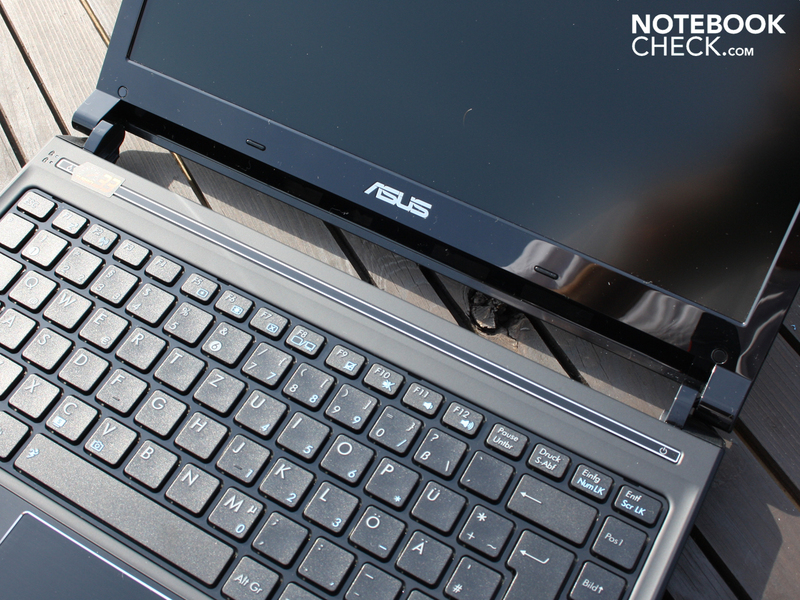 But up to 2.12 GHz are possible due to Turbo Boost and with Asus' own overclocking (Turbo-33 + Turbo Boost). 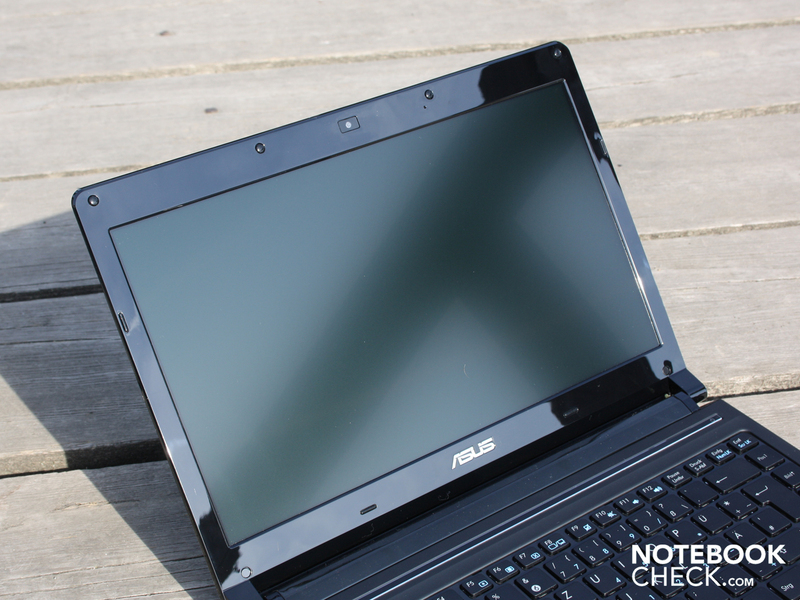 Whilst The Asus PL30JT offers a very good subnotebook performance on the one side, it can be very mobile with good six hours (WLAN test) on the other. The stable case, the matt display and the feasible input devices make it to a good office companion. Unfortunately, AUO's LED screen is too dark. 1366x768 pixels merely gleam with 179 cd/m2. A considerably brighter screen would have been needed for the outdoor use in the cafe. The second significant weakness is the high waste heat under load. 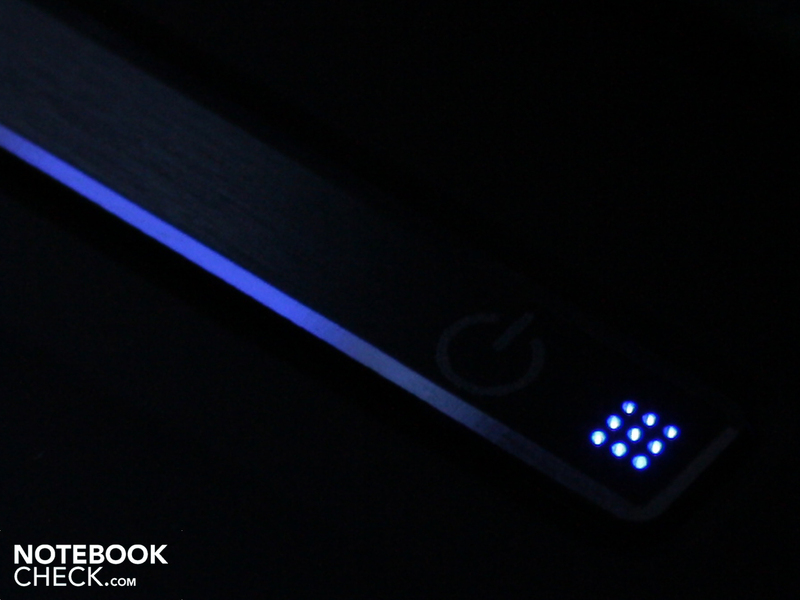 The flat case heats up extremely during gaming or in the stress test and even reaches 50 degrees selectively. The waste heat and system noise, however, stay acceptably low at normal use without Turbo-33. 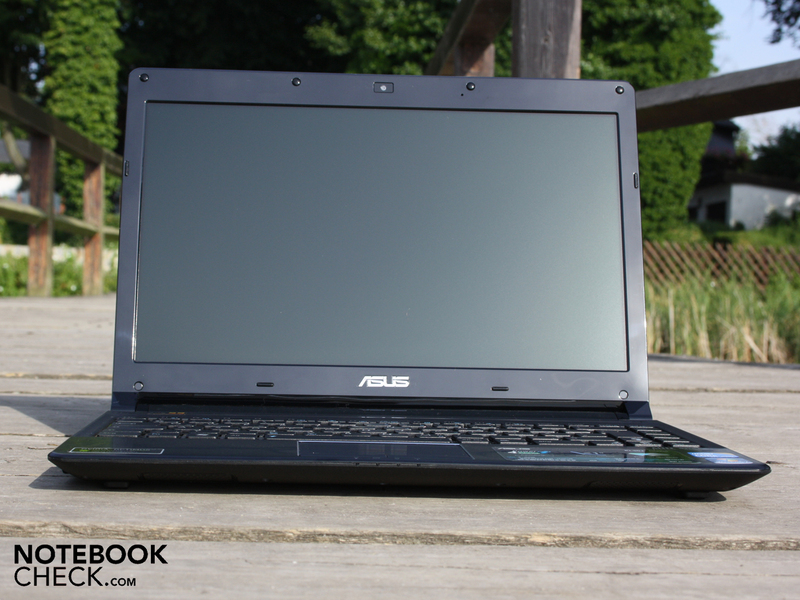 Asus ASUS PL30JT-RO030X: Kombiniert starke Subnotebook-Leistung mit einer real sechsstündigen Laufzeit. 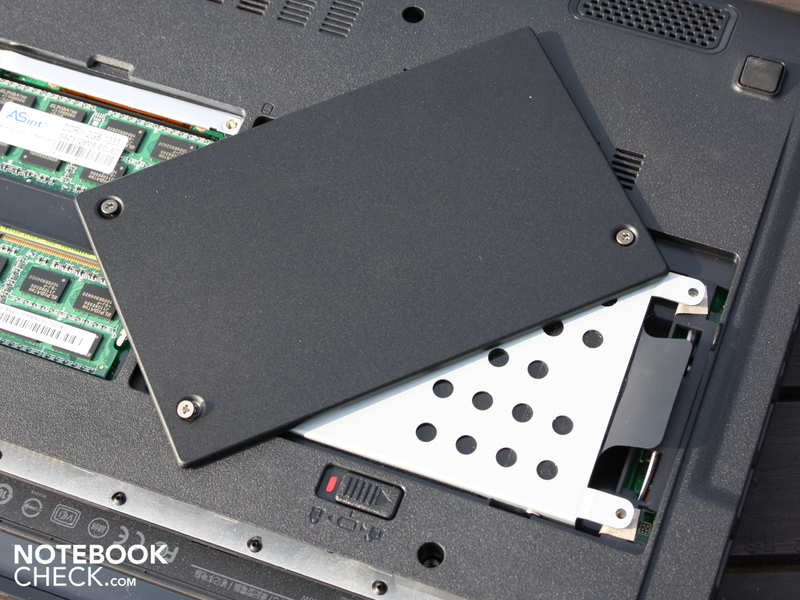 The HDD cover is made of aluminum. has a capacity of 500 GB. The stereo loudspeakers are underneath the wrist-rest. The DDR3 RAM has been placed on two modules with 2048 MB each. We discovered the WLAN card here, which can be exchanged, too. Asus builds a matt 13.3 inch TFT from AUO. Slight reflections turn up anyway. a gap between base unit and lid is created. has a high capacity of 84 Wh (5800 mAh). The adapter needs a whole three hours for recharging it. Inappropriate: high-gloss in the key gaps. It's light is very subtle. been placed on virtual shelves of online shops. and a thick battery for a ten hour runtime. Can the battery life be correct? 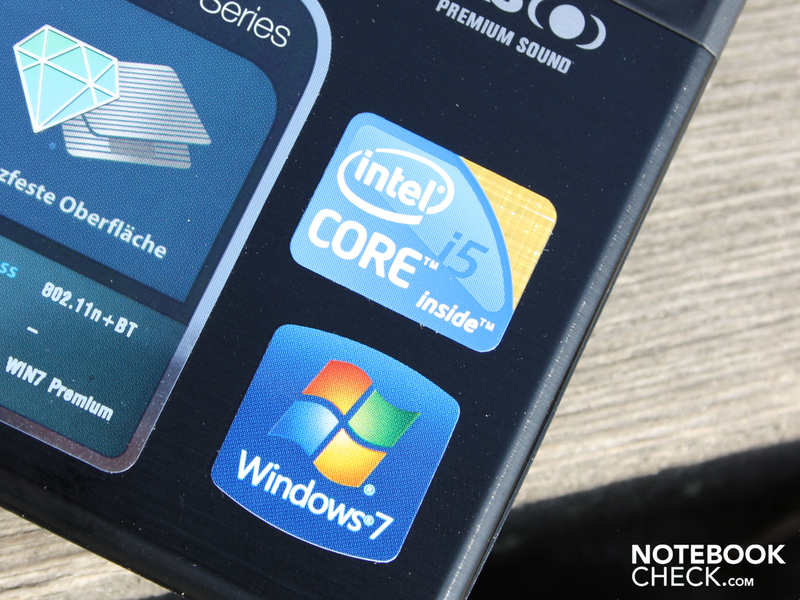 There is an Intel Core i5 inside! that's surprising - even for a 13.3 incher. the lid's surface is brushed aluminum. 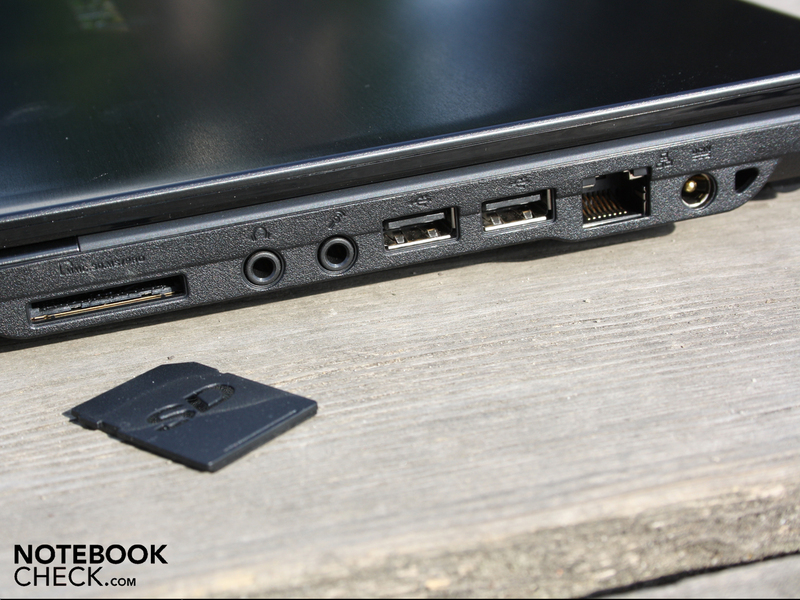 eSATA, docking port or ExpressCard are missing. In return, there is a dedicated Geforce G310M with Nvidia Optimus onboard. The looks are made to be unobtrusive (webcam). We also see that on the power button. It's light with 214 grams, but supplies 65 watts nevertheless. Turbo power when we want it. Battery life when it matters. The Geforce G 310M is adequate for a bit of gaming. A docking solution would have been the icing on the cake. 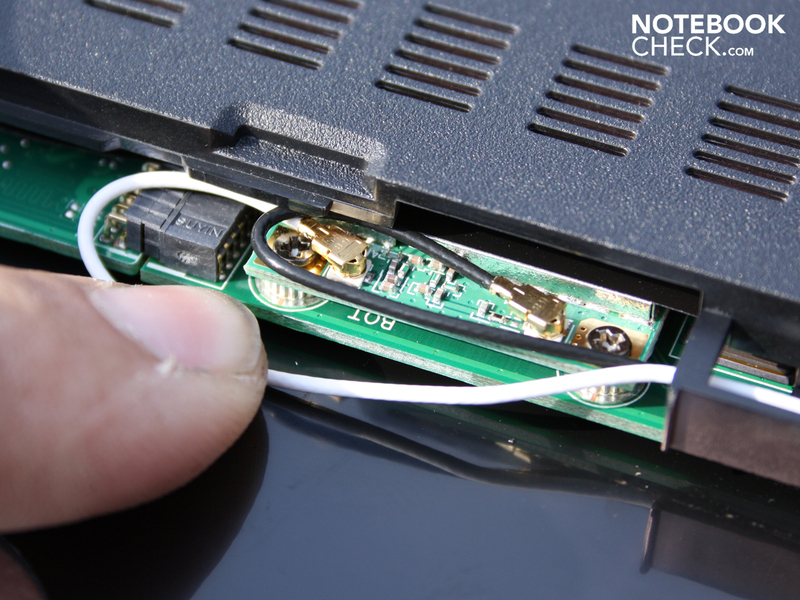 Mandatory for such a mobile subnotebook is a 3G module (UMTS). The performance of a ULV system on par with a standard system (Core i3).